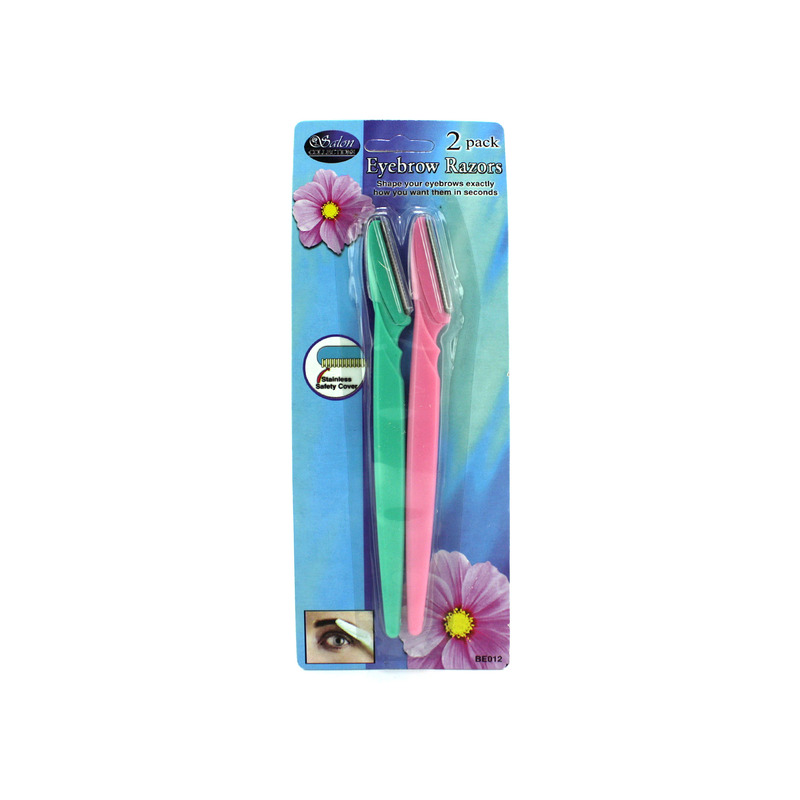 Shape your eyebrows exactly how you want them in seconds with this 2-piece Eyebrow Razor Set featuring reusable razors with long plastic handles and protective stainless safety covers. Each razor measures approximately 5 3/4" in length with a blade measurement of 1 1/2". Comes in assorted colors. Comes packaged in a blister pack. © 2019 Ultimate Distributors LLC d/b/a "American Apparel Sale"